Hiya guys! It's finally the weekend and I am more than excited to celebrate the last weekend of September. In true nail girl fashion, I am ending the week with a bang and not to mention some of my favorite kind of polishes... thermals! Today I am sharing the brand new Fall 2015 Collection by CDB Lacquer, which consists of six polishes (four of which are thermals). Be warned this is an extremely photo heavy post, but well worth it friends! Now let's take a look! 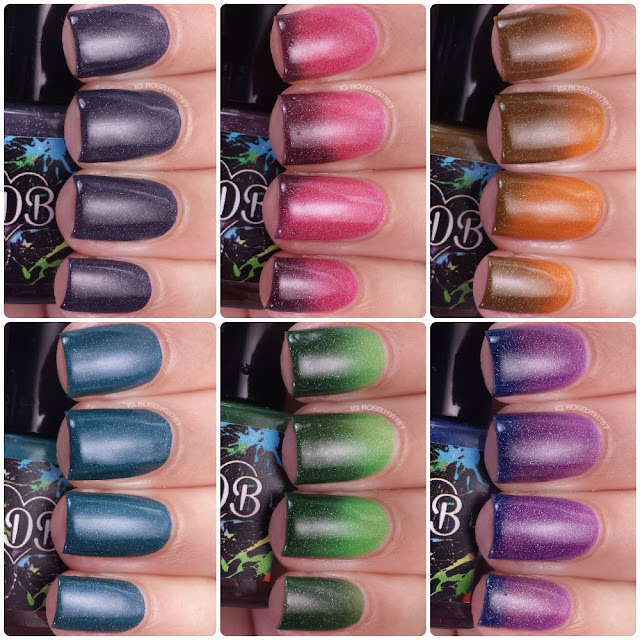 The Fall 2015 Collection by CDB Lacquer is now available for purchase. Each full size bottles retails for $8.50 and the entire collection is set to $47.00 (with free shipping). The entire set is also available in mini size for $ 24.00. 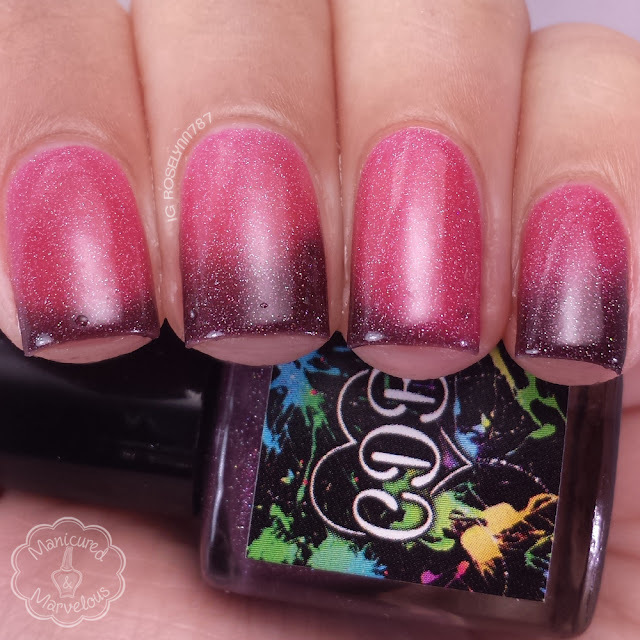 Cranberry Delight can be described as a deep magenta to light purple/pink thermal with scattered holo. We're starting off with one of my favorites in this collection already! The transition is flawless and oh so dramatic. Just how I love my thermals! You can almost see a third shade whilst it is in transition. The formula is really smooth and evens out nicely as it dries on your nail. It dries to a shine, but I do personally find it to be a dull almost satin shine. 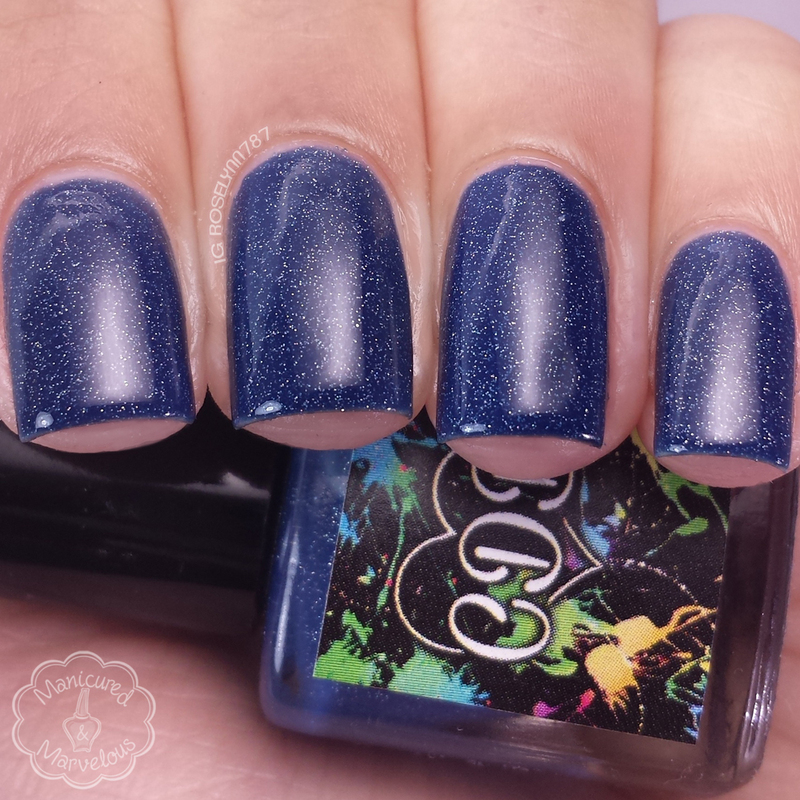 This is consistent with the entire collection as you'll see, but a nice glossy topcoat takes care of it easily. Shown here in two coats and sealed with a glossy topcoat. 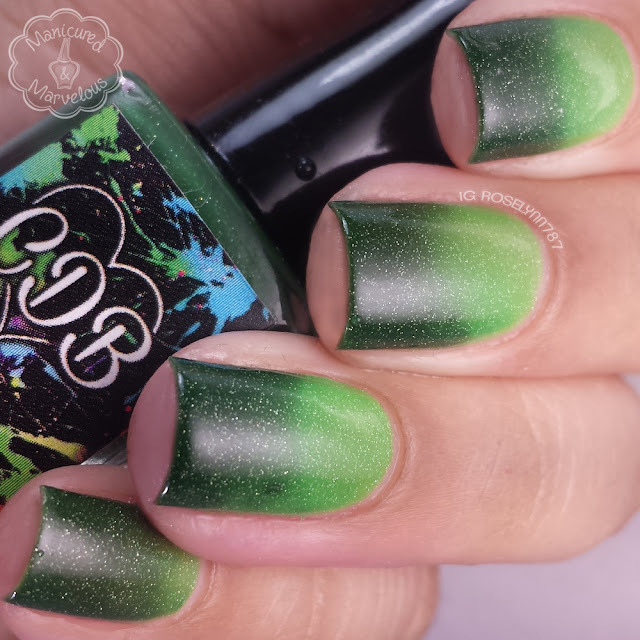 Harvest Squash can be described as a dark green to bright green thermal with scattered holo. Look at that transition! I feel like I am a real stickler for tones matching the season, but this is dead on great for the Fall. Especially in the cold state, such a lush shade of green! 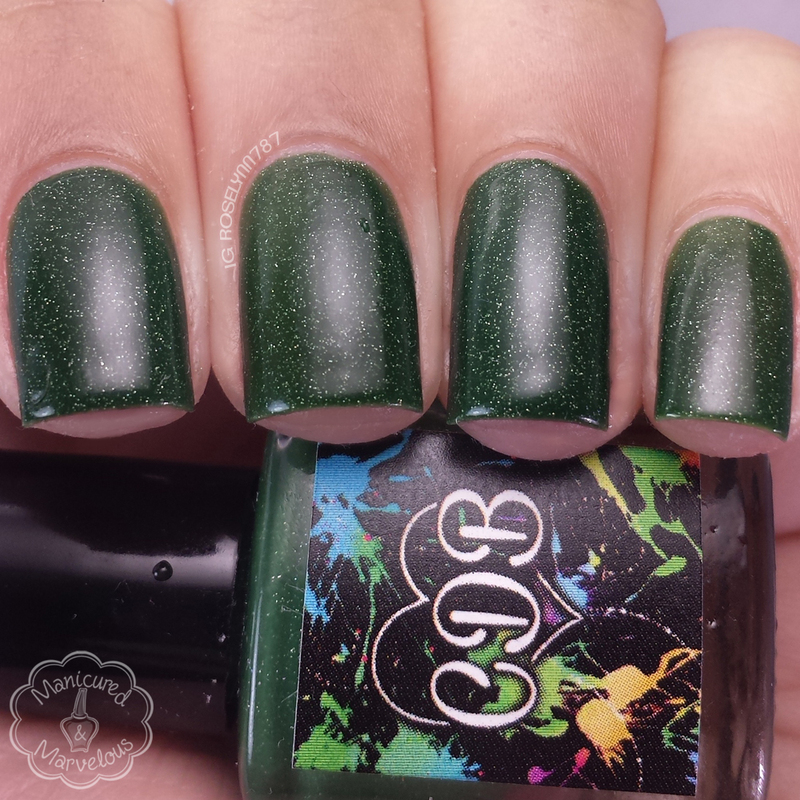 You'll find a similar formula with this polish as well as the rest of the thermals. Super easy smooth layers, not too thick or too thin with each brush stroke. Shown here in two coats and sealed with a glossy topcoat. 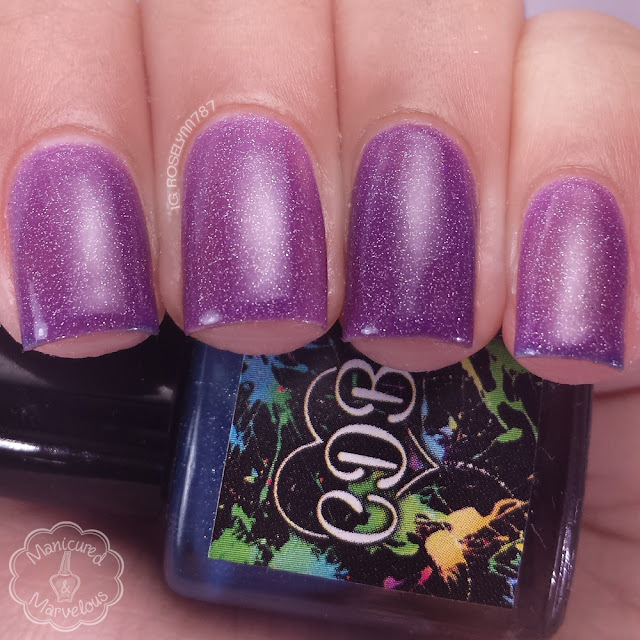 Plumberry Pie can be described as a dark blurple to purple thermal with scattered holo. I'm easily calling this one the crowd favorite hands down. The color change is so dramatic and absolutely drop dead gorgeous. It looks divine no matter the state it's in. Fantastic formula and consistency, not too thick or thin. Easy opaque layers that build up quite nicely for a smooth finish with a dull natural shine. Shown here in two coats and sealed with a glossy topcoat. Rustling Leaves can be described as a brown to Orange thermal with scattered holo. Such a perfection representation of autumn, isn't it? It definitely reminds me of the leaves changing color during the season. Even as someone who isn't normally drawn to these colors, I feel myself just loving how they look. Again you'll find the same great formula and consistency with this polish. Shown here is two coats sealed with a glossy topcoat. 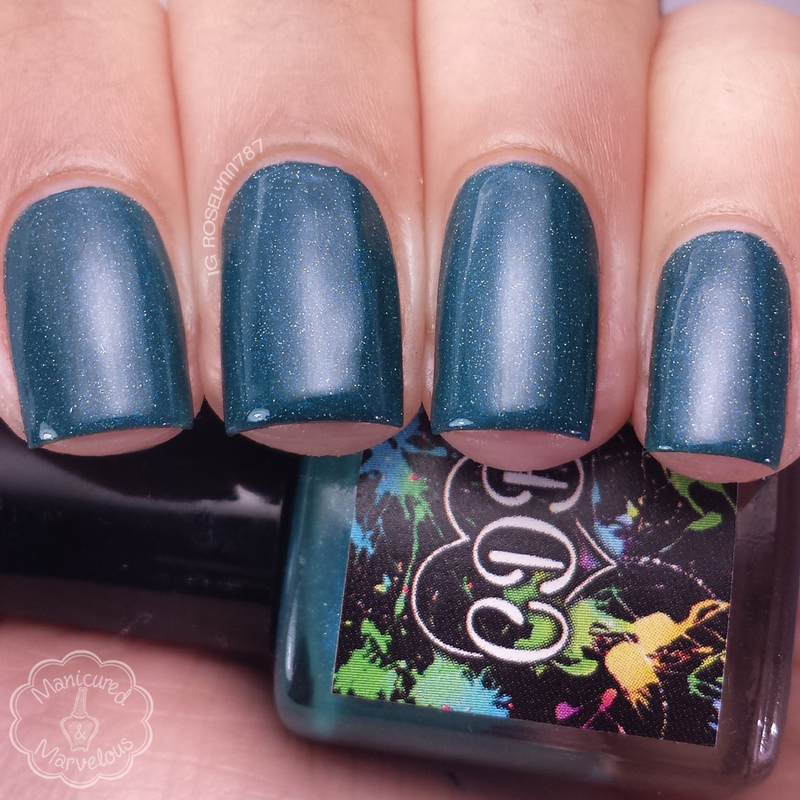 Fall into Autumn can be described as a dark teal with blue shimmer and scattered holo. This is one of the two polishes in this collection that are not thermals. 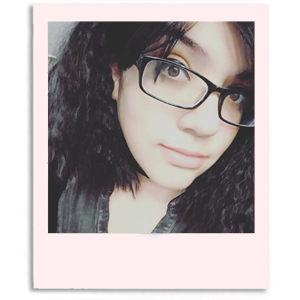 And although that is a bummer, the tone of color definitely more than makes up for it. The formula has a really smooth and easy application with very opaque layers. I know some of you may be wondering how pigmented the color looks, but no this beauty is not a stainer. Shown here is two coats sealed with a glossy topcoat. 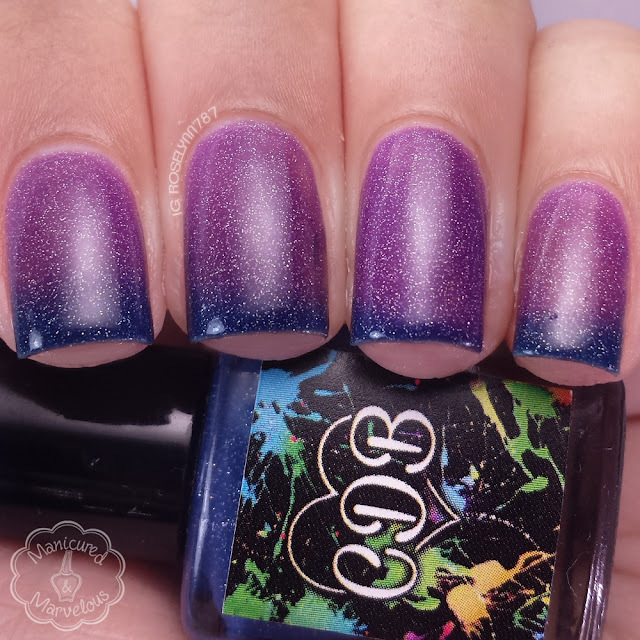 Chill in the Air can be described as a deep dusty purple gray with scattered holo. I love the tone of this shade, it feels so unique to me. And that's always very impressive to me because I own quite a large collection. The formula was a bit on the thick side, but the consistency was still manageable. I'd like to note how super opaque each coat was. I would definitely say with a thick enough layer this is a possible one coat wonder. Shown here is two coats sealed with a glossy topcoat. Overall this is a great collection to embrace the beautiful Fall season with. The colors are spot on for exactly what we need during autumn and thermals make it all too easy to love. Personally I adore wearing thermals during this kind season transition because it makes the polishes come to life. No soaking in water needed, thermals are consistently changing on me! Now you know why I love them so much generally, haha. 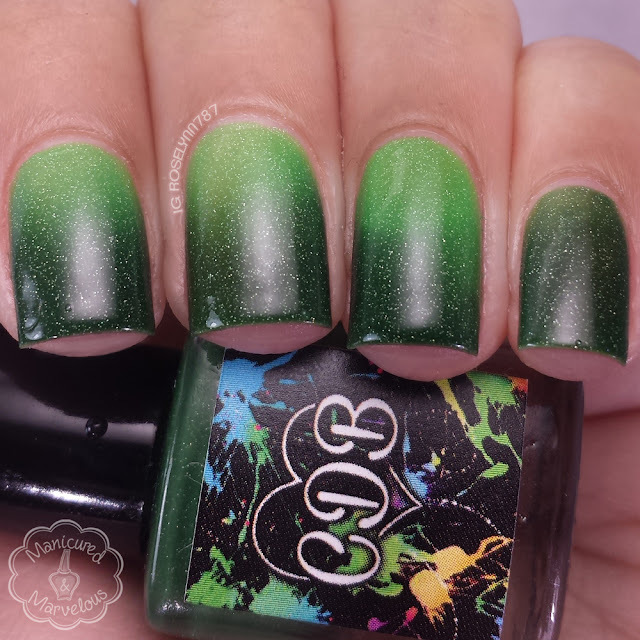 But on a serious note, thermals have definitely become a staple of CDB Lacquer with their fantastic formulas and beautiful color selections. The transitions are accomplished very easily without the need to super soak or anything like that. Definitely worth trying if you are a fan of thermals. These are all incredible!! I have to agree with Plumberry Pie being the crowd favorite, but I love Fall into Autumn too! This collection is A WINNER! Especially the thermals, they're so pretty with such beautiful shifts! Harvest Squash is after my own heart!!!! Beautiful! I loved this collection and you got some amazing shots of these colors! Gorgeous colors, I love how well you captured all the various colors from the thermals. How do you work with thermals while photographing them? I don't see any water on your fingers or anything.. enlighten me please :D! All of these are a yes! Beautiful swatches, as always! Incredible shades & swatches! Looks like a fun collection! The green is hands down my favorite! you make me want all the thermals. Plumberry Pie stole my heart!